Spring has sprung for real, it seems. Today was sunny and 10º, and it was a very pleasant walk home from work. At home, currently at least, our windows are open and fresh air is flowing in to our house. The snowbanks have melted away and are a mere four feet in height now! We’ve got the windows open and are doing some work about the house. There are robins about aplenty. I flew out to Seattle for a weekend to meet L who was there for work. 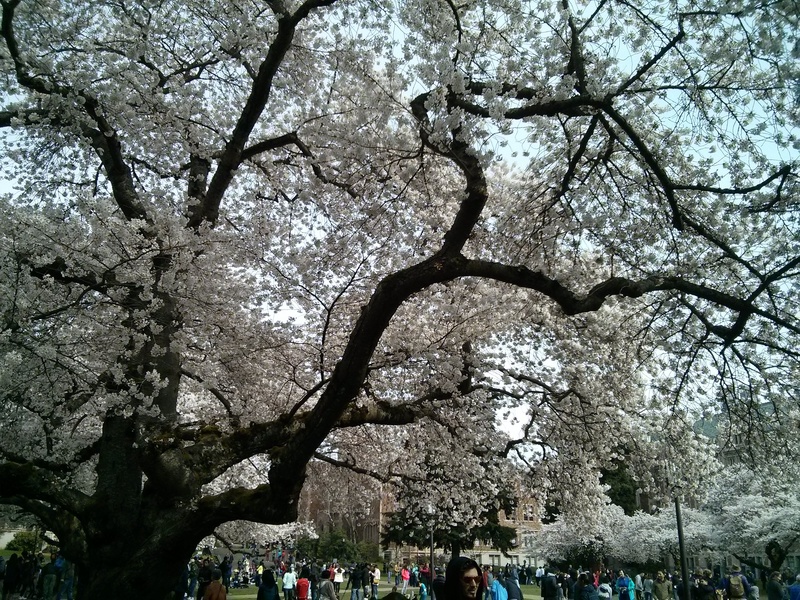 I got to go at the perfect time apparently, as the cherry blossoms were in bloom on the UDub campus.